As it turns out, Fermento of Twisted Oak has his own label too! That made it easy for me to choose to stop by since I figured I love Twisted Oak, I’d love Newsome-Harlow. Newsome-Harlow currently produces 750 cases, but intends to up their production to 2700 next year. 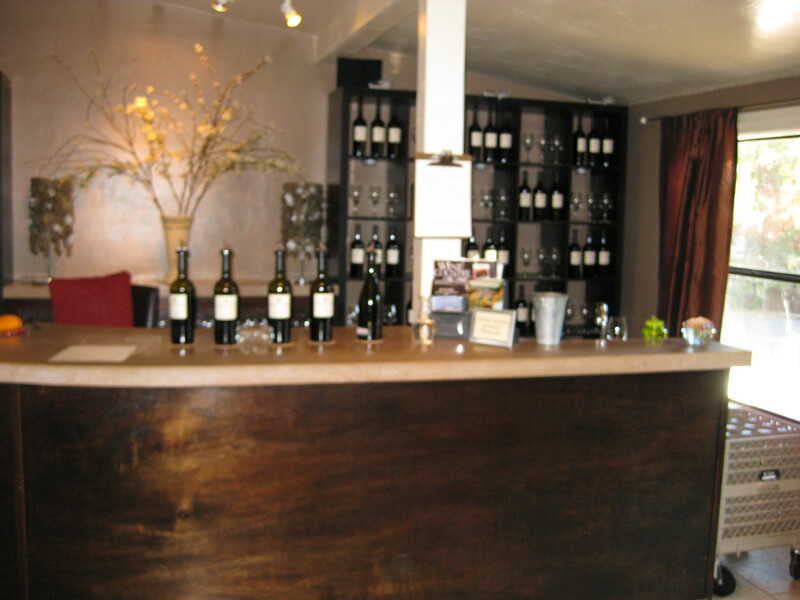 The tasting room is modern and cute, and resides on Main Street in Murphys. 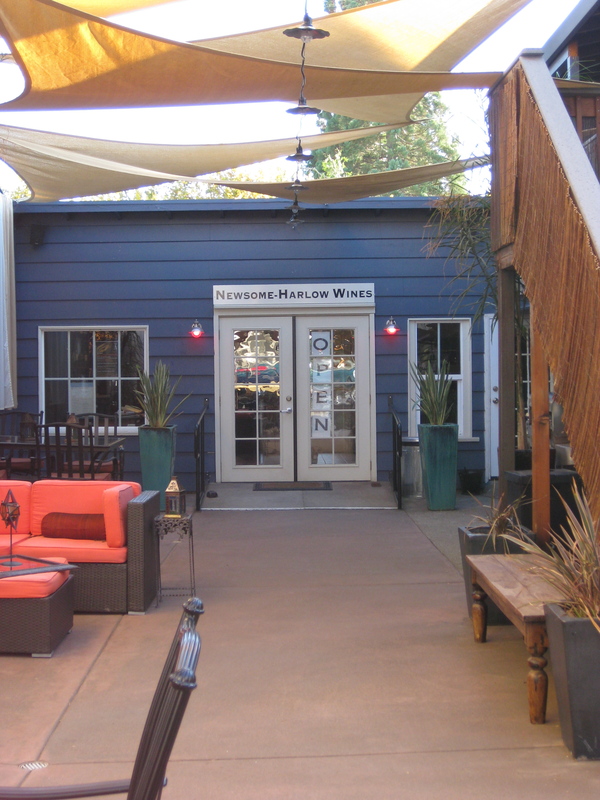 One of the nice parts about Murphys’ wineries is that many of them have space on Main Street, so you can just wander around downtown, stop into a tasting room, go next door for some shopping, then hit up another tasting room. 2006 Big John’s Zinfandel: $24. Berries, dark fruit, vanilla, cracked black pepper, roses, dark fruit. 2005 Train Wreck: $19. Cabernet Sauvignon and Syrah blend (mostly…there might be some other grapes tossed in there.) Peppers, strawberries, chocolate, black berries, tart fruit. I took one home. 2005 Meritage: $30. 65% Cabernet Sauvignon, 24% Merlot, 11% Petit Verdot. Blackberries, vanilla, chocolate, dark berries, tannic, pepper, spice, cherries. 2006 El Portal: $24. 85% Petite Sirah and 15% Zinfandel. Blueberry, spice, vanilla, big berries, chocolate, big tart fruit, some red berries coming through as I swirl. Yum! I bought one. 2006 Syrah (not bottled yet): Blackberry, currants, roses, raisins, flowery nose, violets, nice dark fruit. I loved all the wines here. The El Portal definitely ranked among my favorite wines tasted in Murphys. I wish I hadn’t promised Matt I’d try to keep my purchases at/around 2 cases. Overall, I did pretty well….I bought 22 bottles in Murphys and picked up 6 more in my two days in Napa/Sonoma. So I kept it to 2 cases and 4 bottles. I’ve done much much worse on other trips….oh wait…don’t tell Matt about the 2 full cases of Rose, but I swear I got a great deal on them!